As the final landscape of the top three divisions continued to change on Sunday afternoon with late flourishes or acts of hara-kiri, the impact of Tyrone’s reinvention in attack lingered longest as a lesson to be factored into championship planning. 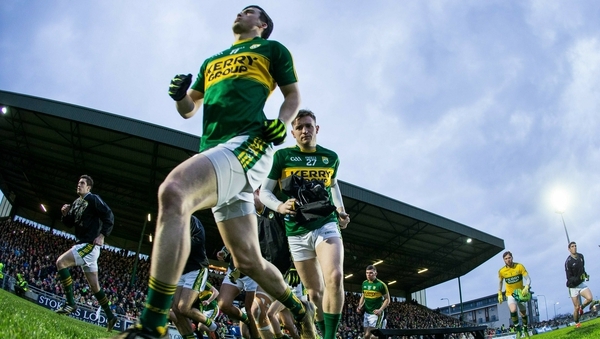 Each have their own attributes to build on and weaknesses to reinforce between now and the summer but the broad conclusion of the 2019 league campaign is that there is nothing much between the abilities of Kerry, Mayo, Galway and Tyrone in a game of "who is closest to Dublin?". Neither will Monaghan necessarily be outside of that conversation after they regroup and re-energise. Tyrone's tactical game plan, however, has been fascinating to watch and Mickey Harte will be pleased by what they have shown in attack during the league campaign. That Tyrone are kicking the ball more often is not a revelation. They have been threatening to show what they could do in this regard in the earlier rounds but never quite seemed confident enough to let it go with any real conviction. Their collective confidence in kicking long being an effective option seemed lukewarm at best, initially experimenting with a return for Mattie Donnelly as a target man adjusted their mindset. When there’s a fulcrum that can win ball that they don’t necessarily have a right to, then you can bypass a lot of deliberations around the middle third. Players who can control the ball well and carry at speed don’t need a massive excuse not to kick the ball. However, it has been the form of Cathal McShane that has really transformed the decision making of Tyrone during the construction of their attacks. 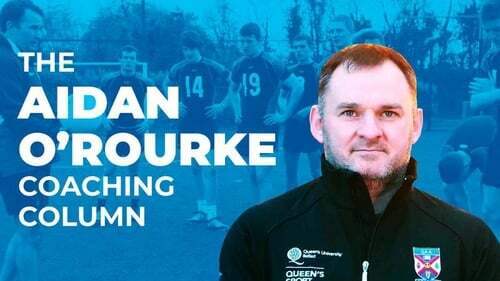 If Mickey Harte, Stephen O’Neill and co have been waging a campaign to emphasise the merits of being direct when possible, McShane is their evangelist. Of course the advent of the offensive mark has reopened a lot of closed minds to the possibilities of long, early deliveries. Most, if not all, teams have by now factored patterns of movement into their play that create "marking" opportunities for working forwards. It’s an obvious facet of play to develop under the experimental rules. But what Tyrone have arrived at is something different from the pack and offers an opportunity for development even without the offensive mark in the summer. When looking at the practicalities of the mark, most teams have come up with similar plans to exploit it – that’s as much down to the tried and trusted planning method of "imitation". The model is taken straight from Aussie Rules. Forwards inevitably are working tirelessly to look for pockets of space and move defenders around to help others. When the opportunity arises, a forward will break off his marker at pace either laterally or heading straight for the kicker and if a decent delivery finds the target the mark is achieved. A bouncing ball in those scenarios limits the receiver’s options – usually resulting in traffic as they race away from goal and the ball returns to whence it came. What Tyrone are looking for is a "flat" ball across the front of and beyond defenders that are marking in front. All day against Galway Cathal McShane ploughed a track laterally at pace across and back along the 21-yard line. He offered himself in front for a popped pass only occasionally to keep his marker honest. Tyrone retain more ability than most to move the ball short at pace and cut opponents open with creative running, but with the breeze at their back in the second half against Galway they found their target man with unerring regularity in those blindspots behind both markers and cover. I doubt if Sean Andy Ó Ceallaigh will endure a more torrid experience this year. Two of Tyrone’s three second half goals came from those flat, diagonal balls that tempt a defender just enough to start moving towards a ball they are never reaching. Those innocent two or three steps forward before trying to readjust into reverse are fatal and ultimately open the door in behind. The correct execution of these plays requires the very highest level of skill in accuracy from the kicker, movement and understanding of space from the receiver and timing from everyone. Any forward hoping to create space and present for this type of pass must constantly be moving but without getting out of position. Making defenders uncomfortable in their positioning is paramount – McShane convinced Ó Ceallaigh consistently that he was coming out in front before cutting at pace across field to where he knew the ball would arrive. Faith in the kicker. Delivering these balls requires no little amount of skill – a type of pass not honed in a couple of kicking sessions. A flat, drifting trajectory eliminates the front marker and allows the inside forward to attack the dropping ball aggressively. The bonus is that the forward is half, if not completely turned towards goal, as he gathers possession. These movement patterns executed well are glorious viewing, irrespective of your generation. If I didn’t know better, I could imagine another Tyrone man orchestrating all of it. Dessie Ryan’s Gospel continues to spread. There is no copyright on this attacking weapon. The right kind of flighted ball would have found Ollie Murphy or Graham Geraghty at the end of a cross field run in behind a disorientated defender for Meath at a time, while Stephen McDonnell and Ronan Clarke were never found idle when that ball was on either. The advantage of the offensive mark will disappear for most teams when championship football breaks out. The predominant habit of taking a clean catch racing away from goal or under a hanging delivery will still maintain possession, but without the free kick at goal a receiver will be under immediate pressure. More often than not the ball will be recycled to start again – if it can be retained. With the disappearance of the mark for championship fare, the Red Hand have the raw materials of an attacking weapon that can transform their potency without sacrificing the numbers they rely on to defend effectively. With Dublin – and everyone else’s – apparent vulnerability to long, early ball through lack of exposure to it, Mickey Harte may have an additional and important card to play at the business end of the championship. Perhaps kicking can be king again.